He doesn't post here anymore (at least since March) but he is still on here reading threads and posts on a weekly basis. Not the greatest snag ever but I'd do this deal again if I had the opportunity. I just picked up 2 rolls of silver dimes for $152.63. Coinflation shows melt at $151.77 and I get $12.20 in ebucks for making the purchase. It's the first 90% purchase I've made in quite some time. Sandro we miss you ! Amen to that brother, I second the request! I have a friend that was handed down a few silver bits that may be looking to cash out. Thanks I completely forgot about that one. Ill pass that info on to him and figure he might get 80% of the chart. and its really nice of NGC to have a place to look up slabbed stuff. That's a sweet deal. Nice snag. I stopped into the LCS today for the first time in quite a while, and he was selling the 90% at $14.50. So I came home with a pocketful. Happy to snag a 1983 and 1985 1 onza Libertad along with a 1988 and 1991 Silver Eagle for $20.96 ea shipped. My LCS currently wants $23.43 for recent Eagles and upwards of $28 for the Libertads, and they never have the early ones. I do like those early fat Libertads. Went to the Bank, Teller said she had $130.00 in halves, did not want to handle the D*MN Things, so I loaded up and lightened her load, SCORED over 60$ in 40% and 10$ in 90%. FREE SILVER??? Love it when that happens. Similar story when I went to my credit union. I have more luck when there are loose rolls instead of when they are already in the boxes. I HATE these posts. The UK decimalised in 1971 so all the old silver coinage was withdrawn. Figured I'd bring this WTF back up to the top. This one has me question sanity (Not Mine,but the high bidders) actually all the bidders for that mater (WTF) were they thinking? Note to self: Start saving bicentennial quarters immediately : ! DAM_!!! I guess marketing is everything "Sell the Sizzle not the Steak". Two hundred dollar profit on $60.00 worth of clad quarters. I wish I had thought of that. I had squirreled away a couple of hundred dollars of Bi-Cent Qu. in AU condition but a few years back I ended the HOLD when I realized the 10s of MILLIONS of Qu. 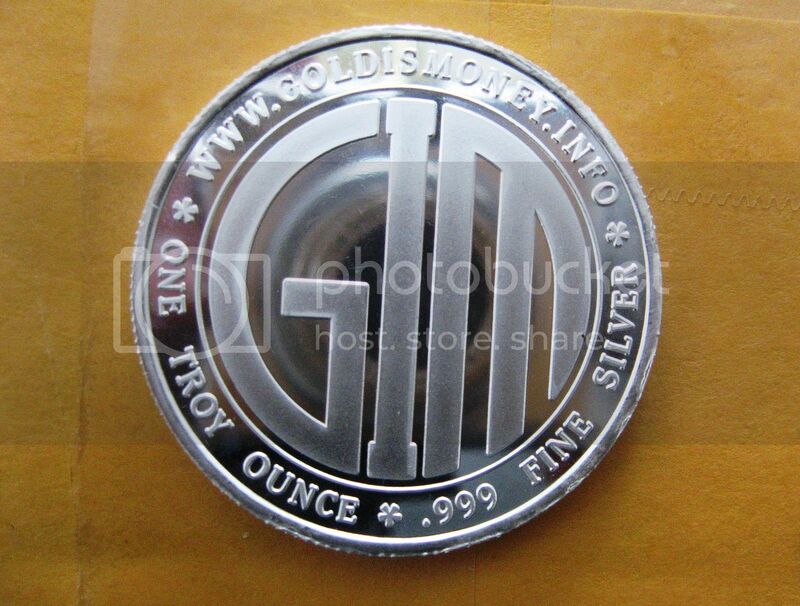 minted and put in general circulation. 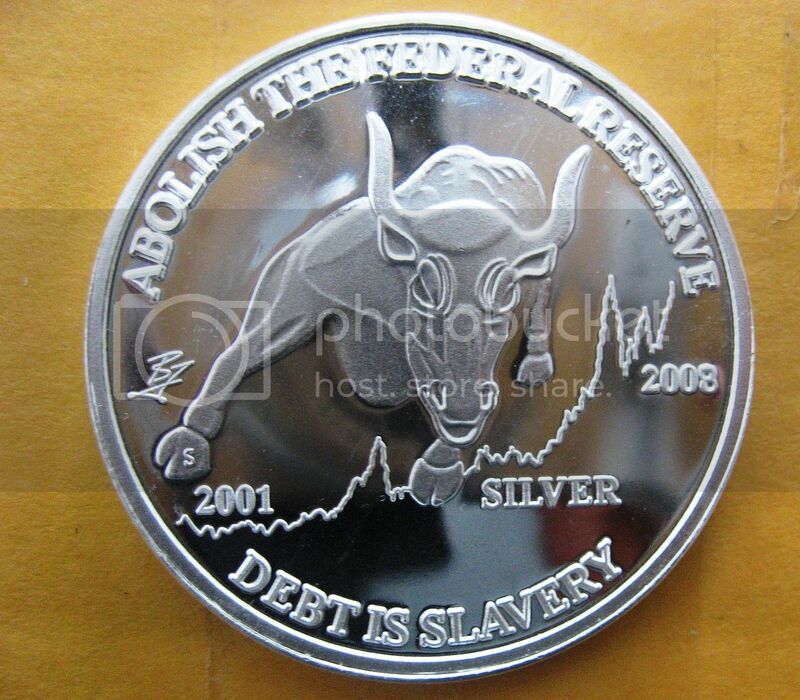 I ended up putting them back in circulation over time. I bought some Proof sets with actual silver content and got rid of all the circulated stuff. I remember looking them up a few years ago and seeing NO ONE wanted them....SO Whats New Today??? Suckers born every minute ? Sure they are 25+ years old, but I still get them in change every now and again....I just don't get the draw. I keep looking for snags and keep finding WTFs. I'm pretty good with math, and no matter how I try to spin it, I consider this a break even proposition at best. "If you can not pick up the coin please just let me know. Your effort will be given an automatic 5 star ratings once you leave one for me"
His son was giving away coupons and happy meal toys. APMEX was selling one ounce Pamp Suisse gold bars for about $15 over melt shipped. I think they made an error, I bought one 3 days ago and it hasn't shipped yet. 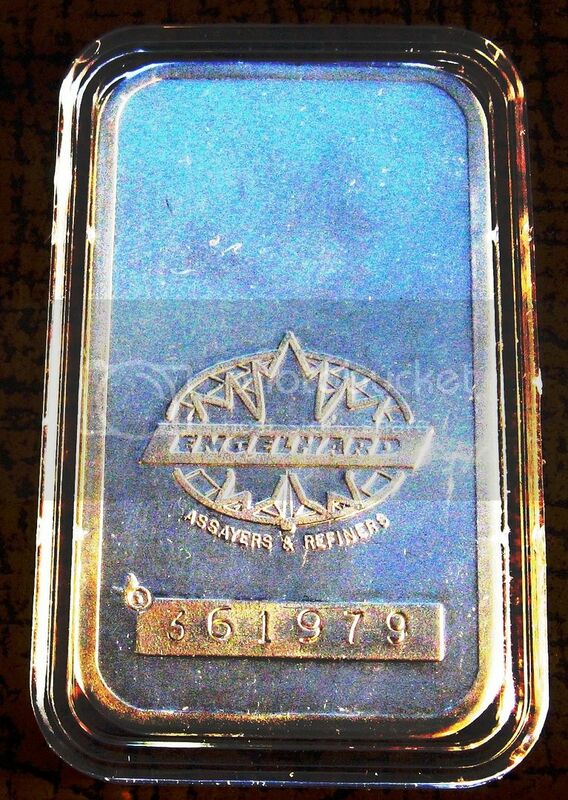 I have purchased those same bars from APMEX before for around the same price. Don't see why they won't ship your order when they get to it. If you placed it over the weekend, they probably haven't gotten to your oder yet. Got a bar today that only cost 5x spot. Gotta love being stupid at times. 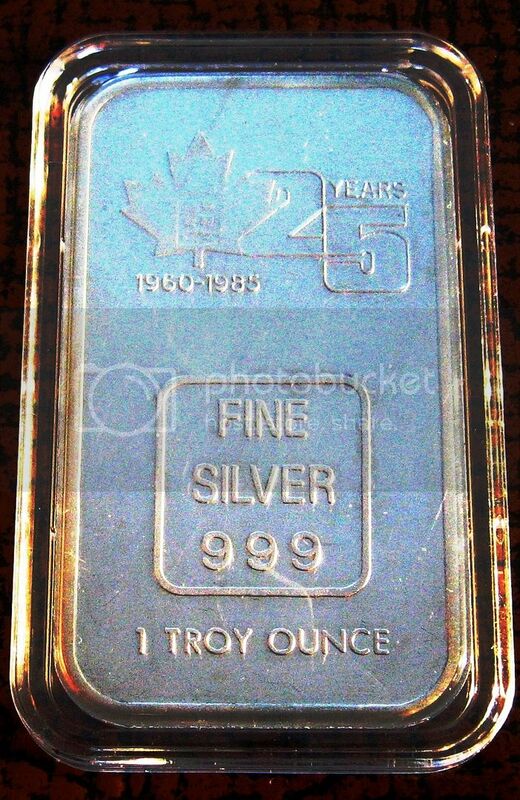 It has been a while since I posted on this thread but last Monday (Dec, 22), while I was on my lunch break at my job, I drove to a LCS and bought a total of 6 1-oz silver art bars (5 of those bars were '70's silver art bars) and paid $100 for those 6 bars (~$16.67 per bar) when spot was $15.68/oz. Got a round in the mail today. Here's an incredible snag. Seems to me that the seller has underpriced by a mile. But obviously, he has an idea of what he thinks it's worth and has set the market accordingly. The opening bid is a lousy $5 and there's a Buy It Now option of only $25. Seems very, VERY cheap to me, but I just don't know what I'd do with it. So I decide to put it up here for one of y'all to grab (if you want it). Quite the bargain, I'll be flipping this one to the devil for a handsome profit. I sent the seller the following question through the eBay system. I'll let you know if he responds. The eBay system limits the number of characters I can use to ask a question. I have more questions and depending on if he replies, I may shoot a couple more his way. Feel free to ask him some of your owns questions as well. I need to know more about the condition of your soul before I'll consider placing a bid on it. Would you say it's in mint condition? Near mint? Or has it been driven like it's stolen? Is it generally clean or is it a bad, dirty, filthy kinda soul? Please explain the previous sale of your soul earlier this year (Feb 12th to be exact). What happened there? Did the buyer return your soul? If not, then how can you sell your soul again? The buyer from the Feb 12 deal actually owns your soul now and you have no rights to attempt another sale. That would constitute fraud. And you're not a fraud now are you Dave? I see you tried to sell your soul 3 times since that Feb 12 date. Each time the price has been different. Please explain the variance in the price of your soul from day to day. Is there a soul market like other commodities? - Owner - I'm the original owner. - Price - I don't have a job right now and need all the money I can get. I keep changing the price because I want someone to buy it. If you purchase my soul I will send you a very nice thank letter. You've answered most of my questions but I see you've conveniently omitted an answer regarding the previous sale of your soul on Feb 12. I see that it sold for $16.50 & you charged $2.50 shipping, Giving you the benefit of the doubt, we'll say shipping actually was $2.50. It's now Feb 23 & you're telling me you've blown through the entire $16.50 already? Dave, that doesn't sound like you've made wise decisions with your money. Please reply and tell me why I should spend my hard earned money on your soul if you're not even going to invest the money wisely? Of course, if (and that's a BIG if) the buyer returned your soul (for whatever reason) then you can simply disregard the above. I gotta tell you, I got burnt on a bad soul puchase back in 2010 and I'm not about to get taken a second time. You know, fool me once, shame on you and all that, right? So I'm sure you'll understand that I insist on seeing a bill of sale, as well as the return receipt, before I send you any cash. Can't be too safe on the interwebs, if you know what I mean Dave. I'm sure you do Dave, you seem like a savy kinda guy. So Dave, just a few more questions, hope you don't mind. Have you ever bared your soul? Have you ever confessed? I Hear confession is good for the soul. Do you keep your body & soul together? Have you ever told your soul anything? I've always been instructed to not tell a soul. Has your soul ever been lost? If I decide to purchase your soul, can we talk about a deal regarding your heart as well? I like heart AND soul. Lastly, just curious, do you have a soul sister? Went to the lcs yesterday and among a few other things, I picked up a California octagonal gold $1 coin, 1873 over 2, ungraded, but I would grade if at AU 50. Front strike is solid, the back is good but a little weak near the middle. Paid about $300. Picked up at all places a church rummage sale $160.